A traditional Neko Punch retrofitted with the latest doodads for true professionals. Its specular coating and golden sheen work together to give off that posh feel we all love so much. 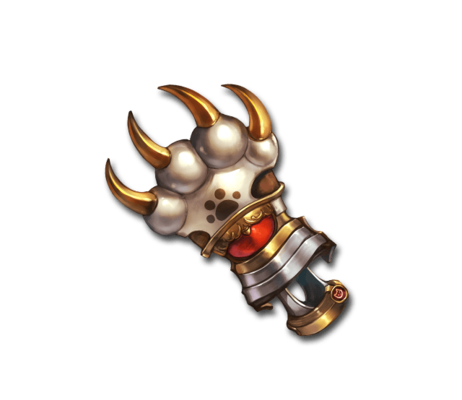 The claws have been extended for ease of use in battle, delivering an all-new Neko Punch experience for the neko in you. Gorgeous Scratch Massive Earth damage to a foe. This page was last modified on 29 March 2019, at 21:29.